The age of elegance lives on. Gracious hospitality, attention to detail, and the level of service for which the Vanderbilts were renowned—all this and more is yours with an overnight stay at The Inn. Join us now for the season of renewal: Spring at Biltmore. 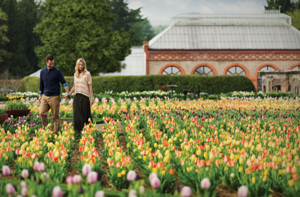 Vibrant color welcomes you to Biltmore this spring with the glorious return of Biltmore Blooms. Immerse yourself in the season’s splendor with seasonal offers and packages that include estate daytime admission and Chef’s Breakfast for the length of your stay. 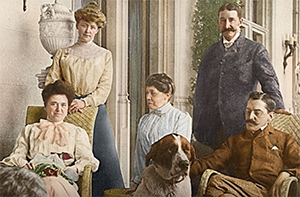 Experience the kind of hospitality and service to which the Vanderbilts treated their guests during their renowned turn-of-the-century house parties. Enjoy four-star dining, Afternoon Tea, Premium Audio Guides to Biltmore’s new exhibition, and so much more. It’s never too early to plan your summer stay with us—our Memorial Day, July 4th, and Labor Day Celebration packages sell quite swiftly! 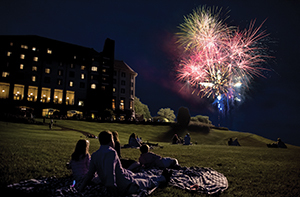 Each includes a special dinner, live music, an ice cream social, and a spectacular evening fireworks display.